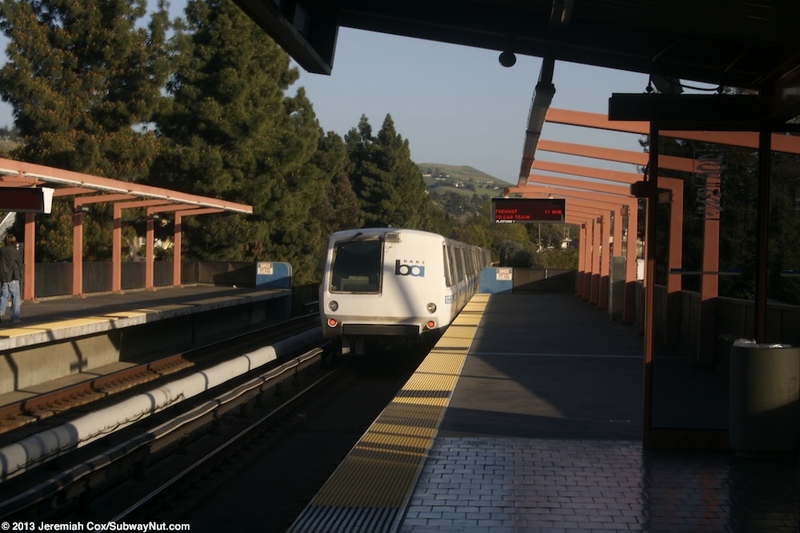 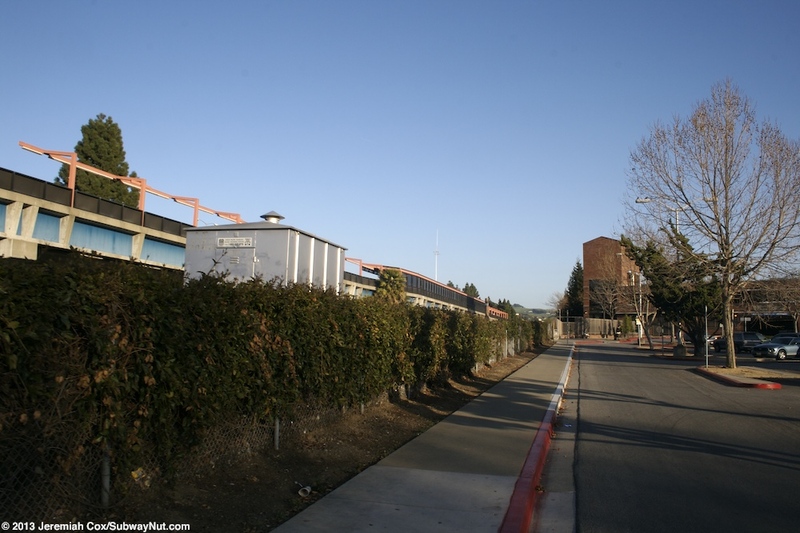 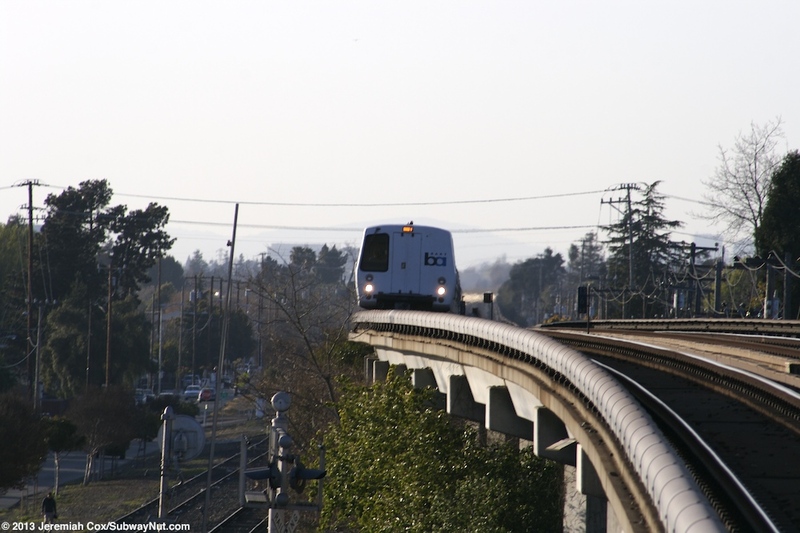 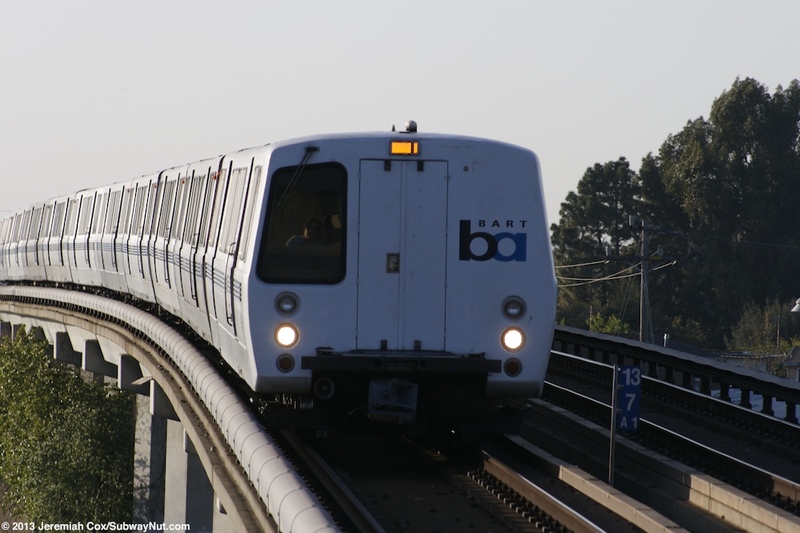 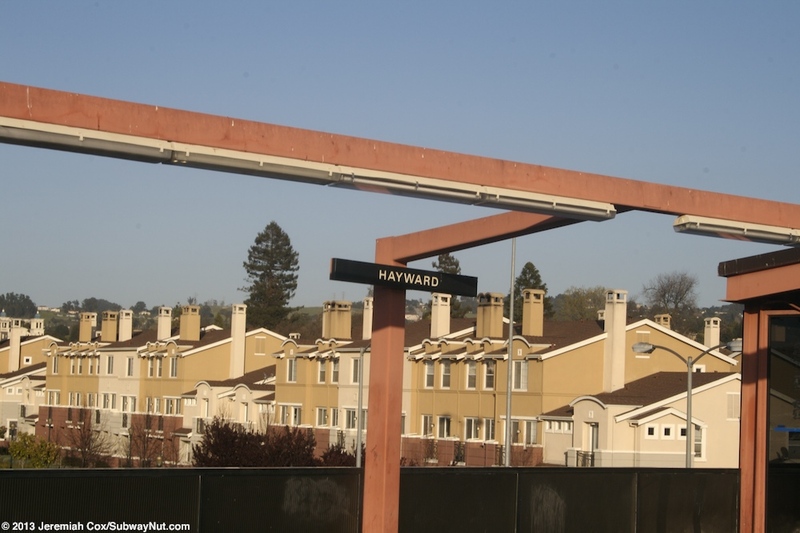 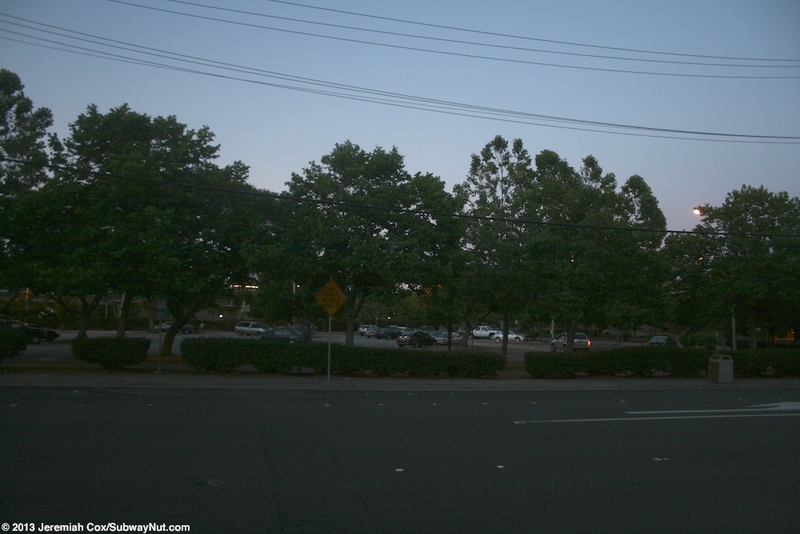 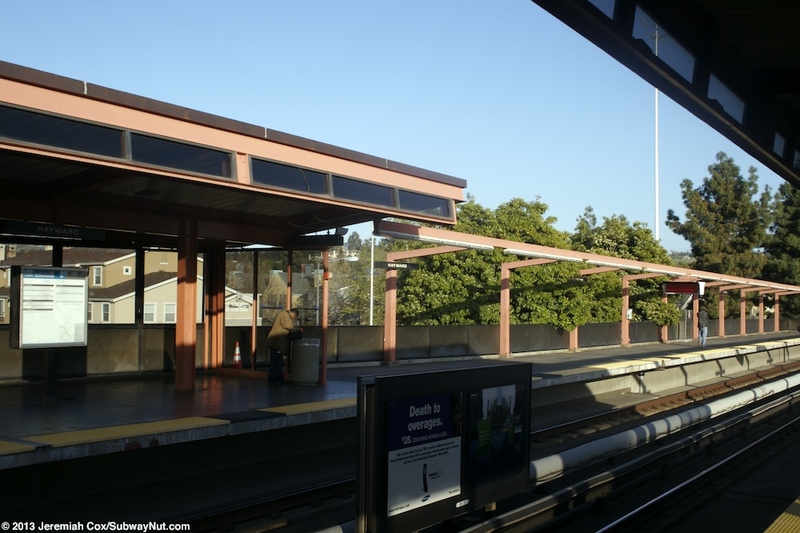 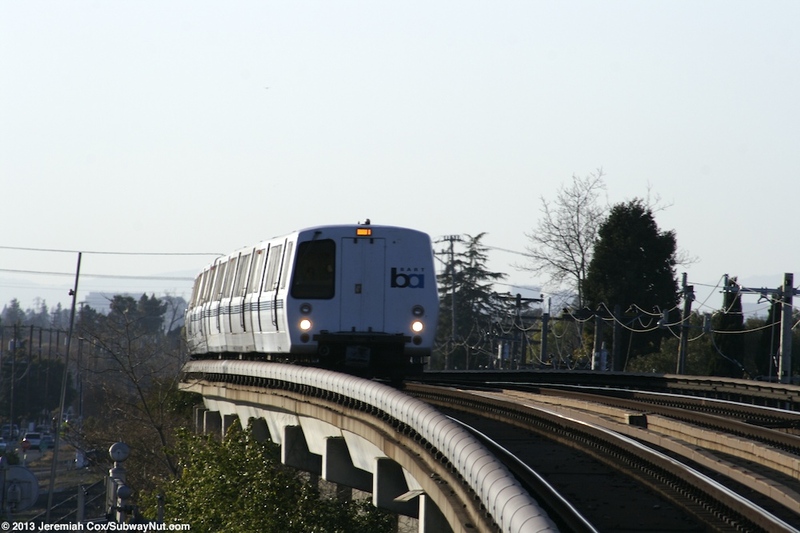 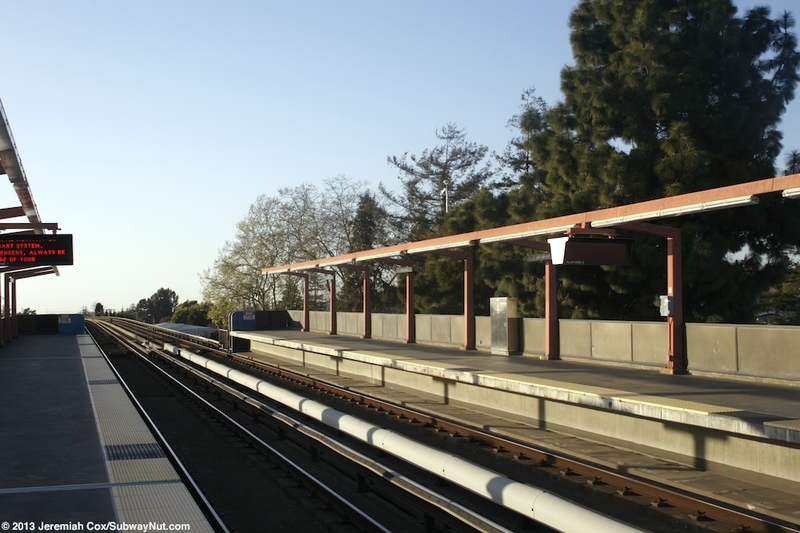 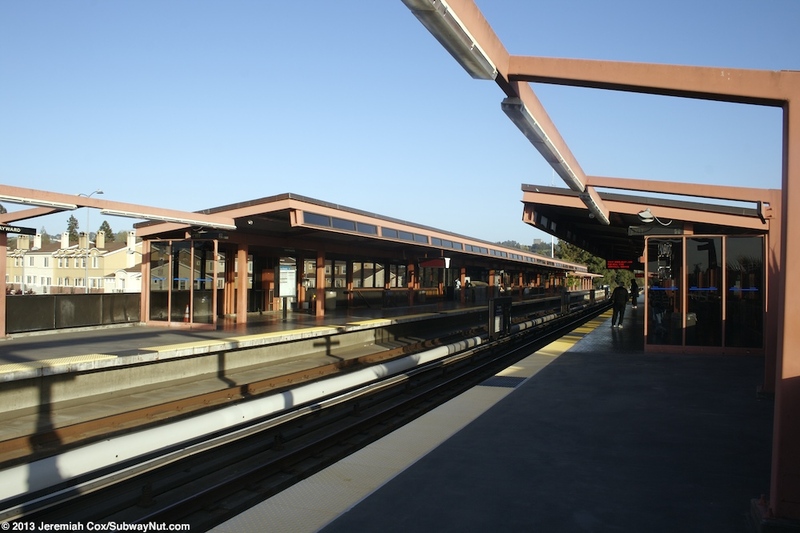 Hayward is an elevated BART station located on an ariel guideway from its opening day in 1972. 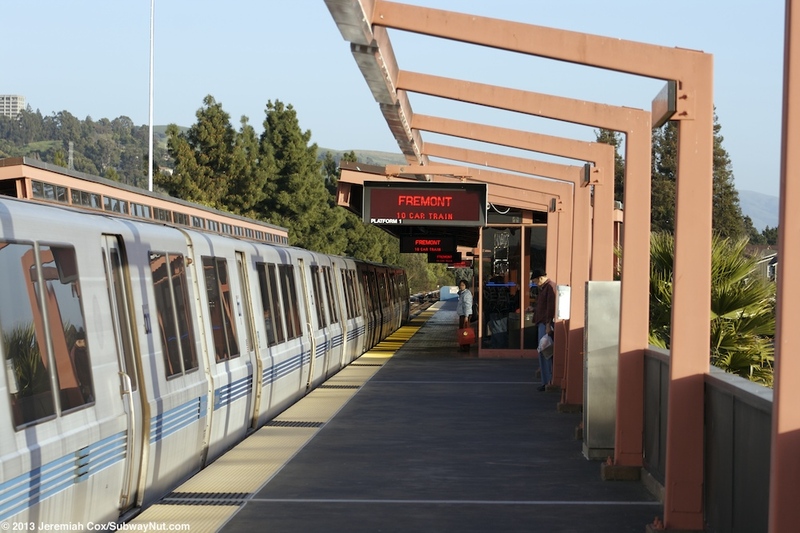 The station has two side platforms for the two track line and each of these have an overall color of pinkish red beams. 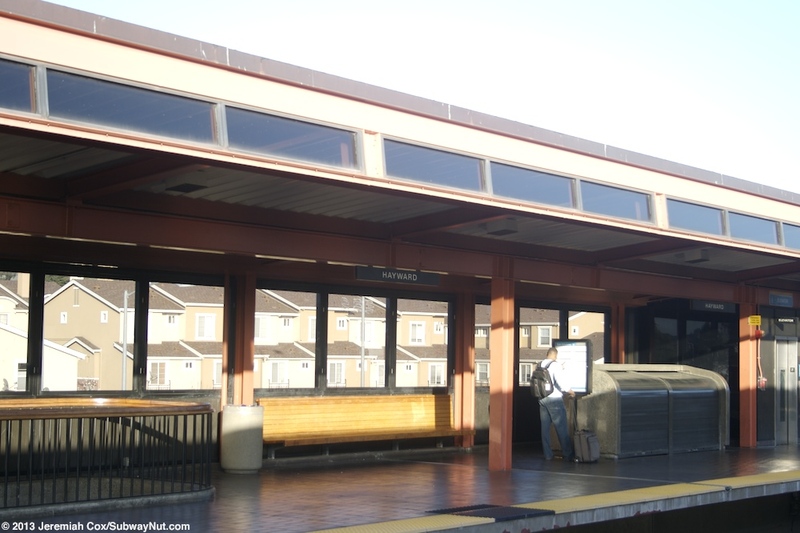 These beams hold up the canopy in the middle of the platform (with plexiglass windscreens) and is the color of the lampposts along the exposed portion for the platforms that have just a low concrete fence. 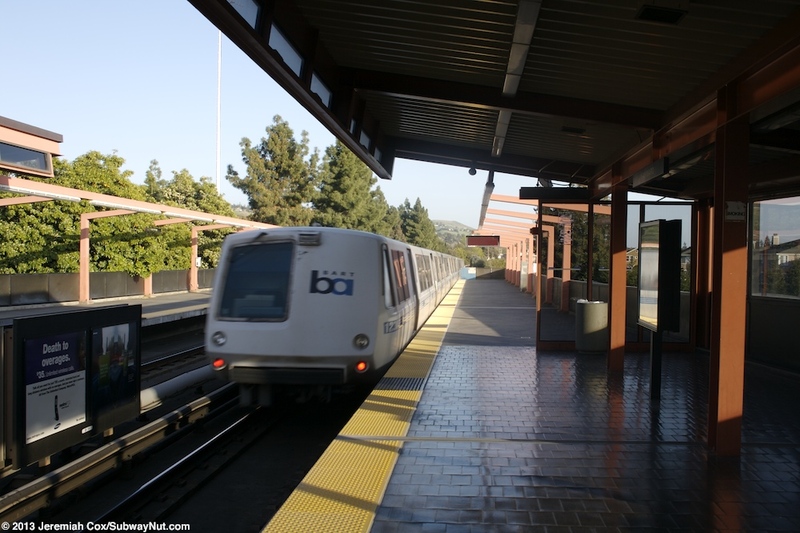 The station has a single entrance beneath the canopy area, here a staircase, up escalator, and elevator lead to faregates that are directly beneath the station as you head to leave it. 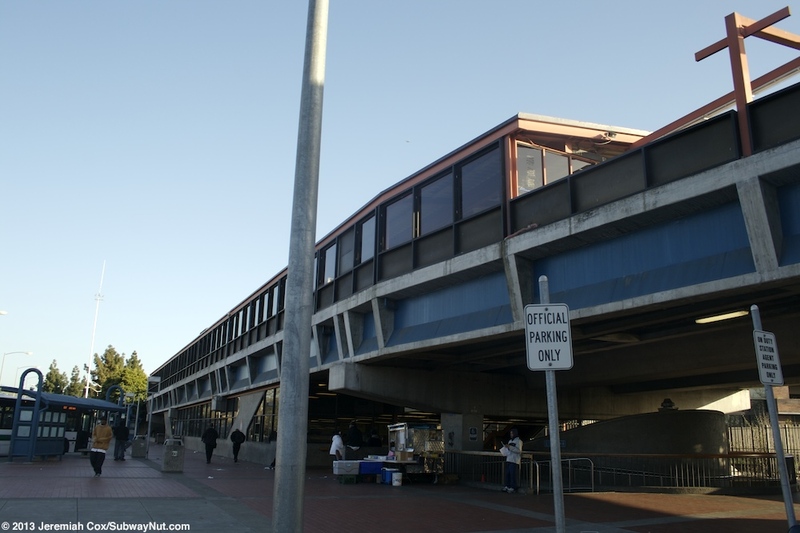 Outside the elevated has blue accents. 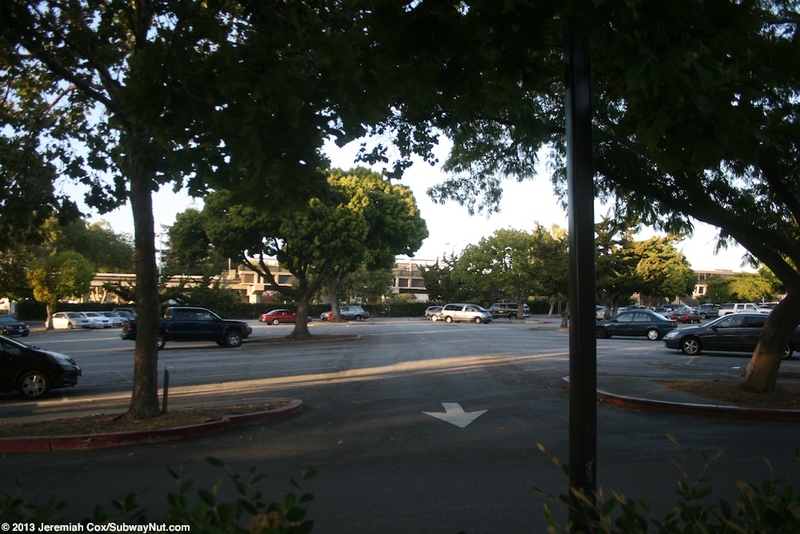 The exit leads out to a large bus loop east of the tracks with two lanes for bus traffic and seven islands. 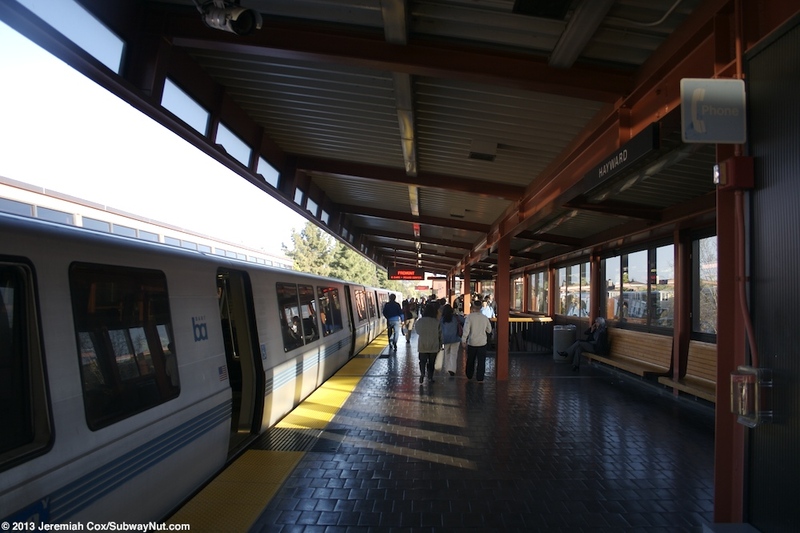 Each stop has a blue canopy. 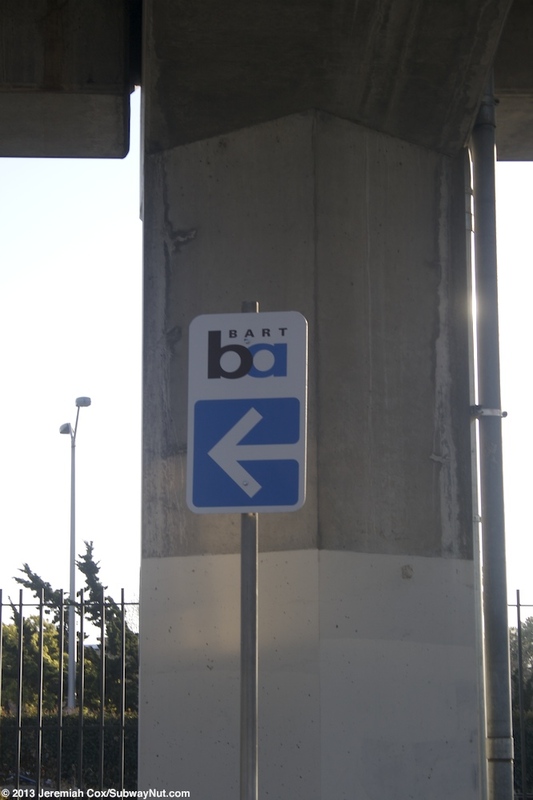 This is along Montgomery Avenue just south of B Street. 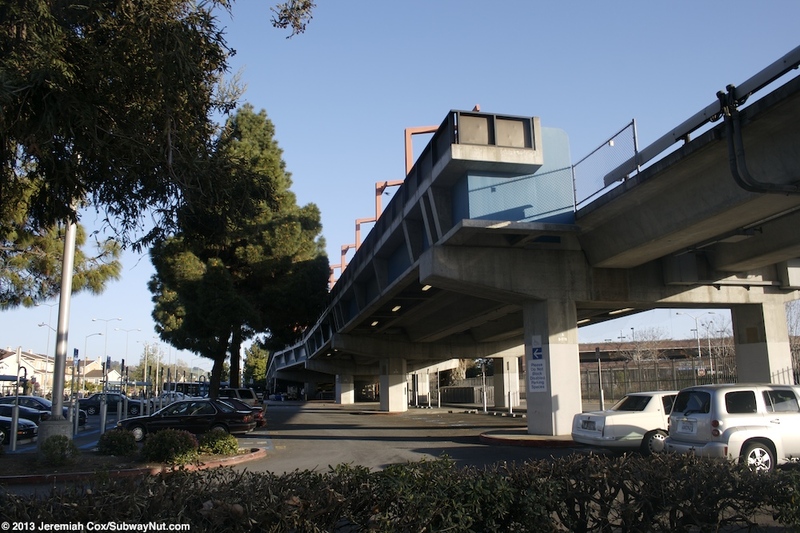 On the opposite side of the exit an underpass leads beneath the freight track BART follows here and out to a 4 story parking garage that was dedicated on July 6, 1994 and a second surface lot with a total of 1,473 free parking spaces. 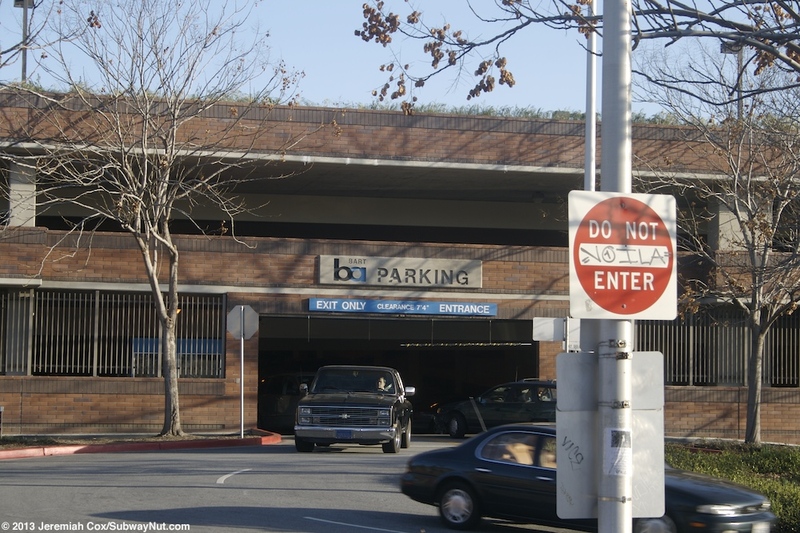 These parking lots are along Grand Street near C Street.